It's Friday again!! 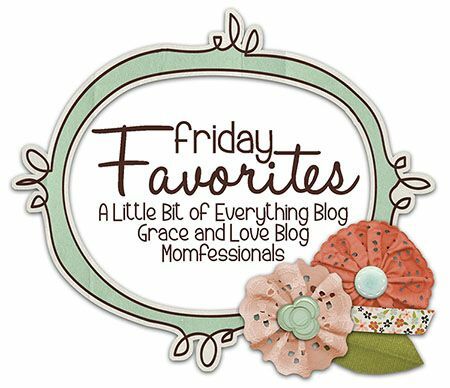 That means I'm working my girls...Andrea and Narci to share our Friday Favorites. This week I'm sharing a hot random mess of things. Okay, I know I've professed my love for these before but it's happening again. This summer I thought I'd save some money and I purchased a big box of the Sam's brand of a scent booster. I don't remember the name, but they were a capsule or pod? Anyway, I never noticed a great smell while I was doing laundry or anything. I ran out this week and started using the Unstopables again. WOW!!! I can tell a huge difference! I'm happily doing laundry again because it smells so good!!! I feel like this is a secret I'm sharing with the world! haha! It's no secret I have nasty dry cracked hands and feet. My hands get crazy bad in the winter and my heels get bad during summer (I think from swimming). Anyway, during my last pedicure my lady suggested this lotion. I immediately ordered some from Amazon. I think it was $15. SO WORTH IT!!! I should start buying it in bulk! If you get cracked heels, you NEED this! I've been putting it on every night and my heels have never been smoother. She told me to use it daily (don't just wait to get cracked skin before you use it). Seriously...it's the best thing I've ever used on my heels/hands. And...just for fun a great before/after! I LOVE seeing fabulous results!! We have regimens for every type of skin issue you may be having....acne, sun spots, fine lines, or sensitive skin. These are results from our Reverse line. AMAZING!! This month if you sign up as a Preferred Customer, you'll receive an entry in my Multi-Function Eye Cream drawing. Current PC customers will receive an entry and referring a new customer gets you an entry as well! Do you guys have this game?? I think it was one of those $2.00 games on Black Friday that I saw everyone throwing in their cart. I felt like I needed one too PLUS I was going on just a couple hours of sleep. People could have talked me into ANYTHING!! But...we LOVE it!!! The box says "For ages 7 and up"....but my kiddos totally get it. We've been playing since Christmas and it is hysterical!!! We definitely have to give them more clues, but seriously....such a fun game!! Hope you guys have a GREAT week!! We're enjoying our last full week of SUMMER!! Don't forget...you should join us!! Blog your favorite ANYTHING...picture, quote, book, or your favorite hot random mess too. :) Link up with us so we can all check it out! Thanks so much, Ladies!! Have a great weekend, Erika!! Love the game! My kids crack up and liv just likes wearing the band on her head...crazy girl. Family of seven equals lots of laundry and I like it to smell good....may have to try !!!! The lotion...as soon as I am done writing this I'm hopping over to amazon to order it....I'm super excited to try it! Enjoy the final days of summer.....I haven't fully accepted that summer is almost over and we are heading back to school August 25...sniff sniff!! Happy Friday!!!! I have to try the unstoppables! Also, I started the reverse regiman this summer! I haven't been using it too long but I am already beginning to notice quite the difference. The before and after pic you posted here is incredible!! Have a great weekend! I need to buy like everything on your list. Stat. Happy Friday! 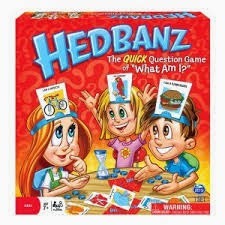 Headbanz is such a fun game! I desperately need to get N'Vive and am heading over to Amazon now! Thanks for sharing! i've been.using unstoppable for a couple of years now, and I love laundry, they smell so good.....my hubby prefers the turquoise lid, he think it's a more fresh smell, I like them. all.. nothing better than fresh smelling sheets! I recently saw the same teeth whitening thing on Pinterest and I asked my brother in law (who's a dentist) and my sister (who's a hygienist) and they told me to absolutely NOT do it! They said the hydrogen peroxide shreds your gums and although your teeth may look a shade whiter, you're being handed a bucket of other oral problems. She said they've seen horrible cases come in when people have tried this SMS most times nothing has even changed in their coloring!! Save yourself the headache of ruining your mouth and just stick with Crest strips!! I love using the headband game in speech therapy! So much fun! I have tried the teeth whiting and it works. I do it once a week and my teeth are pearly white. Try it!!! WE LOVE Headbanz!!! It is a great party starter for all ages. We also have the adult version (no pictures) which is super fun too for cookouts and dinner parties and such! We had so much fun playing that game in florida this summer! It was hilarious!! I've tried the peroxide and baking soda...actually heard about this when I was a teenager pre-colgate strips! I do think it works over time but the key would be consistency for sure. Another amazing product for cracked heels is origins reinventing the heel! It's amazing! A tad pricier but last a long time! Ive tried the pinterest whitening and it was too harsh on my gums. I have done crest white strips and they r ok. A dentist I know said to brush with sensodyne for a week to help with the sensitivity that whitening can cause on your teeth. 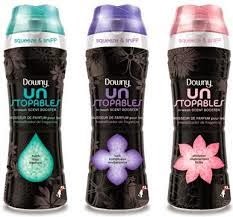 As for the downy unstoppables I felt that it really didn't scent my laundry. How much r u using and r u doing large loads of laundry? The "glow" scent booster is my fav!! Try it! I've never done that whitening trick but I got this AMAZING toothpaste from my dentist that works SO good! They sell it on Amazon too! I've also used this overnight several times & it works REALLY well but my teeth are extra sensitive for a couple of days afterwards. Opalescence is a great brand! I use the Unstoppables and it is AMAZING....I too have the worst heals ever so I just ordered the cream you suggested! Cannot wait to try it! Thanks for the recommendation!